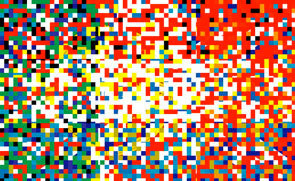 RIF (Random Identity Forum) challenges the notion of a representative flag based on a shared European Union identity. Instead, it provides participants with an interactive forum in which to create their own flag based on their political, national and social beliefs and prejudices. RIF allows people to participate in, and comment on, the political and economic policies of the European Union. 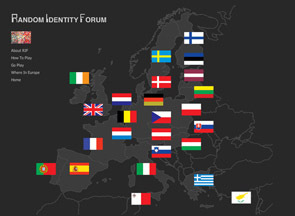 ...'Anna Lascari’s latest computer-based interactive installation, Random Identity Forum (RIF), appears in the form of an entertaining video game, almost: ‘design your own flag; create a new European Union’. One enters Lascari’s website to find a black background with instructions on how to play. An interactive forum, RIF is a place where one can cast a visual vote based on one’s political and inter/national beliefs. 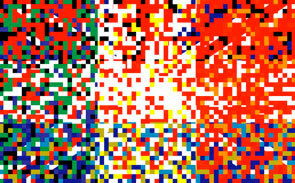 The participant has the option to compose a new flag based on the 25 existing EU member countries. 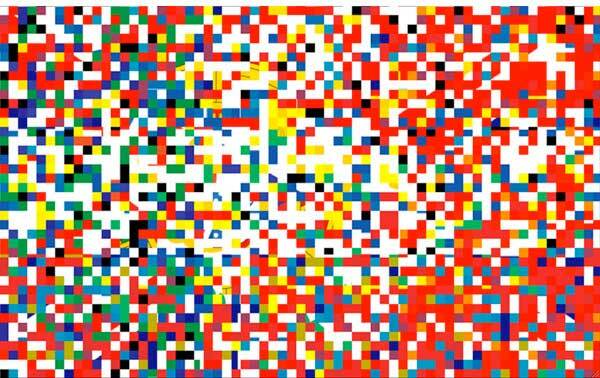 By choosing however high a percentage of whichever flag one chooses to preserve, the interactive voter creates a new flag, which can then be distributed to other fellow voters, or printed as a document. On the page ‘How to Play’, the artist has the following quotation posted from the official EU website Europa: ‘The idea of a citizens’ Europe is very new. Making it a reality will mean, among other things, rallying popular support for symbols that represent a shared European identity’ [my emphasis]. Indeed, RIF is an invitation to all citizens of the 25 member states to create a vision of another European Union. During an age of increasing disaffection with Western politics and leaders, people are inclined to want to take more power into their own hands. If the flag of the European Union – a circle of 12 golden stars on a blue background – has symbolic value, Lascari’s forum offers a space in which we can replace the existing symbol with multi-colours, creating different patterns according to our vision. But aesthetics and politics are not separate entities, and RIF does not seem to be advocating this either. Quite the contrary, it is through a political art that Lascari might be proposing a revisable EU, perhaps an EU whose symbolic consequence is found in a hybrid of identities and not a union comprised of countries with a definite distinctiveness under the auspice of a unilateral coalition.